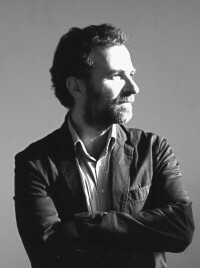 David Hernández de la Fuente (Madrid, 1974) is a writer and professor. With a doctorate in Classical Philology and the Social History of Antiquity, he has been a professor at the University Carlos III in Madrid and at the University of Potsdam, and is currently a professor at the UNED. Invited researcher at numerous universities in Europe and the Americas, he has won such international distinctions as the Pastor Prize for Classical Studies (2005), a Juan de la Cierva grant (2005), a Humboldt-Forschungsstipendium (2009), a Ramón y Cajal grant, and a Burgen Scholarship Award (2014). Other books of his on similar subjects include Oráculos griegos (Greek Oracles, 2008), Vidas de Pitágoras (Lives of Pythagoras, 2011) y Mitología clásica (Classical Mythology, 2015). He is also the author of narrative works including Las puertas del sueño (The Doors of Sleep, 2005, Community of Madrid National Prize for Children’s Literature), Continental (2007) and A cubierto (Under cover, 2011, winner of the Alfons el Magnànim Narrative Prize from the Valencian government).